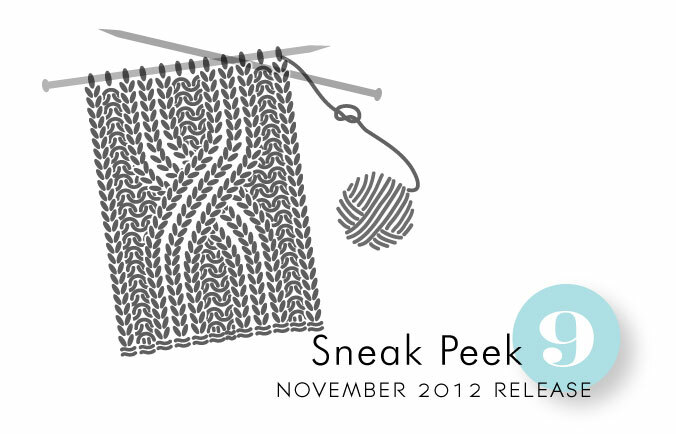 Following along with our "stitching" theme this month, how about a little something for yarn lovers? Knitting is a popular pastime and now you can integrate your love for the hobby into your paper crafting with this warm & cozy collection of images. With a large cable that can be used for backgrounds and borders, knitting needles in two sizes and even a few knitting project images, you will find many ways to use this set to create a homespun feeling. This collection of "knit wit" sayings is the perfect companion for our new knitting stamp set and even complementary to Quilter's Sampler and some of the other stitching sets this month. With a sentiment for nearly every occasion, you will find yourself turning to this set again and again for a variety of projects. The sneak peeks get better each day. Love the knitting set. Been knitting since fifth grade (40 years) . I sure hope I win one of the prizes this month because I see a large order coming up! This will be “just the ticket” for my knitter friends’ cards. You never cease to amaze wtih your delightful new designs each and every month. 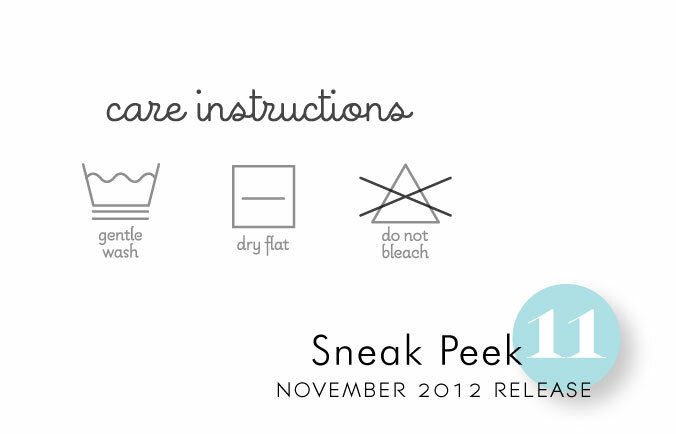 Love all of today’s sneak peek! I’ve been unsuccessfully searching in stores for tags to include the care instructions with my knitted projects and now I can stop – yay! This is so cute, I really love this. You can use this for crafty people and for cold day and for get well cards and for…… the ideas are so many. Really adorable. I love the theme this month! I cross stitched for years, have knit and crocheted goodies here and there, and very excited to combine these with the quilting series. Bravo PTI! 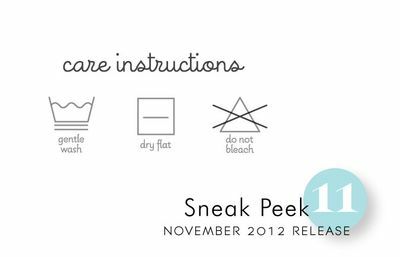 Love the knitting set and care instructions. Perfect for including with knitted items I sell. I LOVE a good KNIT! What sweet sets! I am not a knitter but may have to get this for the great sentiments! Beautiful sneaks from the designers! I love the sentiments on these sets! What fabulous stamps, its amazing that you ave so many new ideas each month. Always enjoy seeing what Papertrey has up its sleeve. Its the first e-mail I open starting on the 5th. of every month. These are beautiful! Can’t wait to see the project too. Oh, my! I’m in LOVE with these sets! As a knitter, quilter, and overall sewer of home decor items, these sets (and the ones shown previously) have my name all over them! You are a genious! 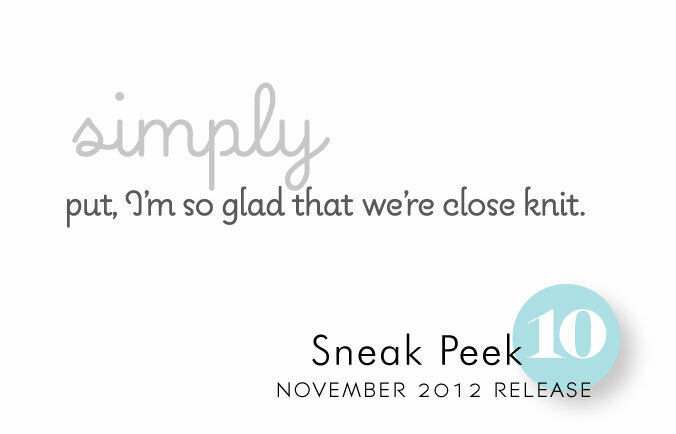 Lovin’ the sneak peeks this month! Oh my, cute, cute, cute. Such a clever collection. Very cute! Just the perfect touch for Grannie! I’m not a knitter but I love the font on that sentiment! I think I get it! This month’s them is homemade related. I like it. Fun, fun, fun, absolutely FUN!!!! I can’t wait to see the rest of these sets! Adorable! Too sweet. Love the look and possibilities of sending warm and cozy. Just found this website and I love everything …. I don’t knit but I would love that as a background. So far, looking like a great release! Hats off to you! Our delightful stamping diva Dawn McVey will love this knitting set!! !It looks like a fun set of stamps to play with. LOVE the “care intstructions”! too clever! This is a great idea!! So fun and different! Can’t wait to see samples with them. love the peeks. so exciting as the countdown begins. I love this set! I cannot wait to order it.